[ANONYME]. - Vue de la ville de Naples. Vue de la ville de Naples. - [ANONYME]. Title : Vue de la ville de Naples.. Date : Paris, c. 1780. Size : 9.4 x 15.7 inches. / 24.0 x 40.0 cm. 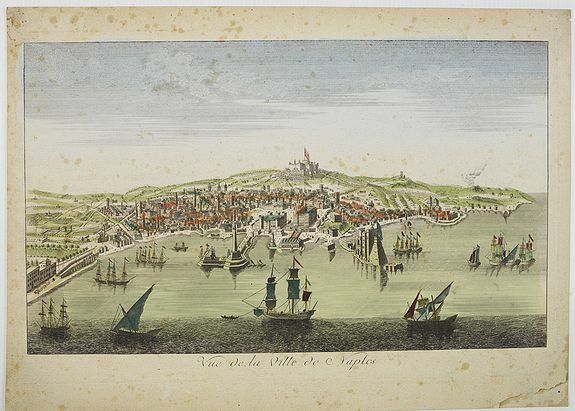 Description :A so-called optical print showing a panoramic view of Naples with a busy harbour. 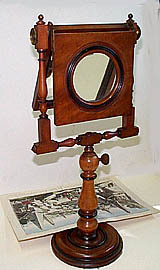 An optical mirror with print. Condition : Paper age-toned with some marginal spots on the edges of engraved area. Also marginal staining and spotting.